First day of a conference is usually super long, especially you have a jet lag! I woke up at 4:30am this morning, where could I go then? I could not imagine that how should I survive without coffee today. 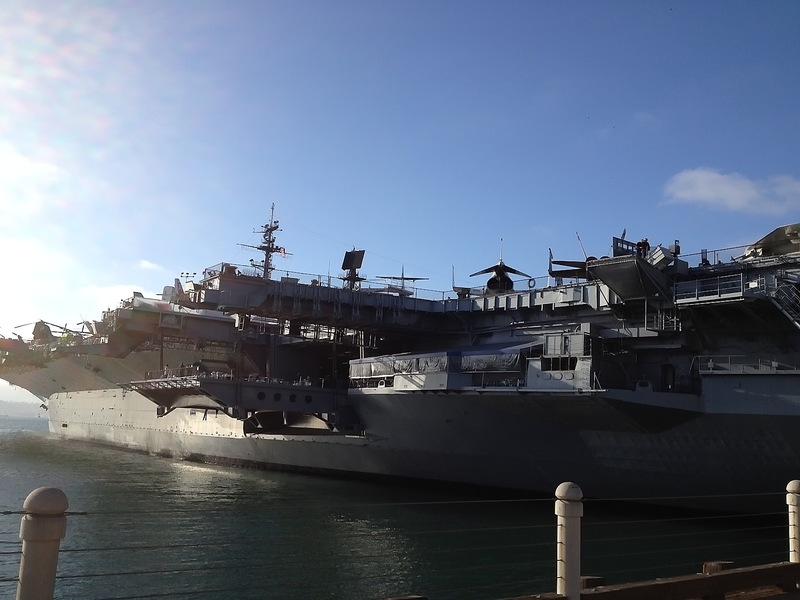 A brief nap in the noon charged me up, so I spent an hour on strolling through Harbor Dr., and checking this "monster" -- Midway carrier. I should have taken a good camera with me...... Kids will definitely love to jump on it, and check things around. I dined in Royal Thai Cuisine tonight, which is one of my favorite restaurants in San Diego. If you come here, you must try their drunken noodle with double spicy. Gym in Hyatt is great, facing the harbor....... if I wake up at 4:30am again, I will go there to kill time. Before I close, I want to share a sentence I heard today with you. Though it is about scientific research, I think it applies to life too. "Scientific research is tedious, and there are only a few short episodes of success. Unless you are doing things you really enjoy, otherwise you will not be satisfied." In term of our lives, there are not so many excitements too. We need to do things really interest us, otherwise it will be tedious.